Not only will Damon Herriman (Justified, Quarry, J. Edgar) be playing Charles Manson in Quentin Tarantino’s Once Upon a Time in Hollywood, but Collider has confirmed that the actor will also be portraying the infamous cult leader in season two of David Fincher’s Mindhunter for Netflix as well. Furthermore, it sounds like Herriman already shot scenes as Manson in the Netflix series last month, having been cast in Mindhunter earlier than today’s announcement. Sources told the outlet that while Herriman will be playing a 1969-era Manson in Once Upon a Time in Hollywood, fans of Mindhunter will be seeing him play a 1980s version after Manson had already been locked up. How do we get ahead of crazy if we don’t know how crazy thinks? In Mindhunter, two FBI agents (Jonathan Groff & Holt McCallany) set out on a sinister investigative odyssey to discover the brutal answers. Season two will likely feature the Atlanta Child Murders — which took place between 1979 and 1981 — Son of Sam and the reappearance of the BTK Killer. Mindhunter features Jonathan Groff (Looking, Frozen, The Normal Heart), Holt McCallanay (Sully, Fight Club, Gangster Squad), Anna Torv (Fringe, Heavenly Sword, The Daughter) and Hannah Gross (Unless, I Used to Be Darker, Take What You Can Carry). The series is directed by David Fincher (Gone Girl, The Social Network, Zodiac), Asif Kapadia (Amy, Senna), Tobias Lindholm (A War, A Hijacking) and Andrew Douglas (The Amityville Horror, U Want Me 2 Kill Him?). Joe Penhall (The Road) created the series. Fincher, Joshua Donen (Gone Girl, The Quick and the Dead), Charlize Theron (Girlboss, Hatfields & McCoys) and Cean Chaffin (Gone Girl, Fight Club) are executive producers. The first season of Mindhunter has been Certified Fresh with a 96% on Rotten Tomatoes, and was lauded by critics for its reinvention of the crime procedural, when it premiered in October. There has been no release date set for the second season of Mindhunter, meaning it’s too early to tell whether or not we will see Herriman as Manson on the big screen before he heads behind bars on the Netflix series. Production for Once Upon a Time in Hollywood is currently underway in Los Angeles for Sony Pictures and the film is slated for release on July 26, 2019. 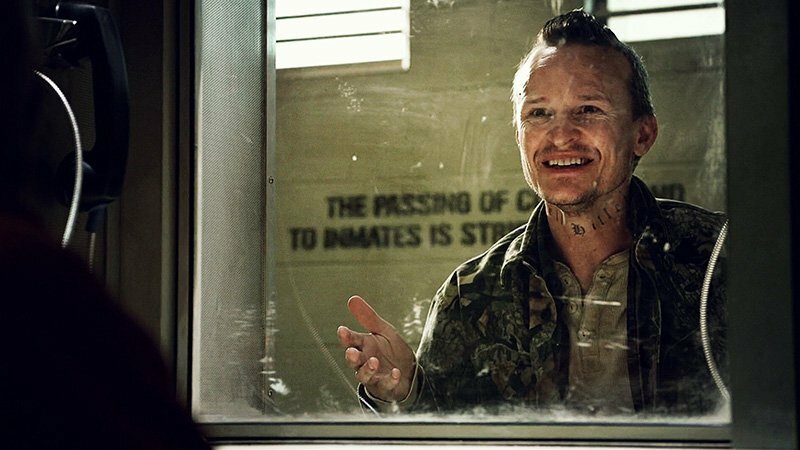 The post Damon Herriman Will Also Play Charles Manson in Mindhunter Season 2 appeared first on ComingSoon.net.